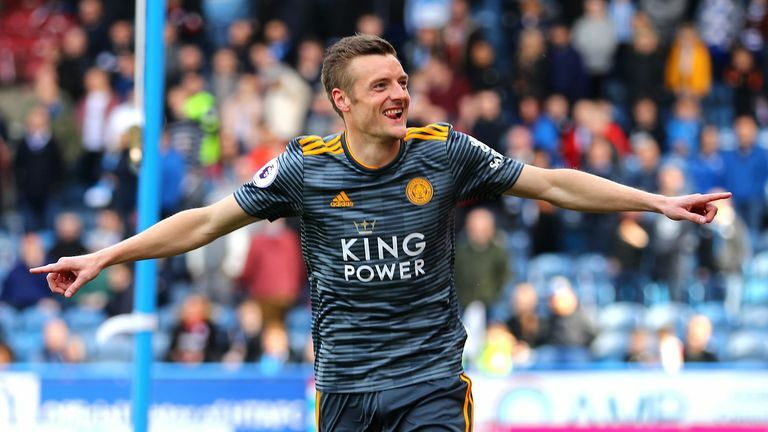 Brendan Rodgers has called Jamie Vardy an "incredible player" after the striker's double helped Leicester to a 4-1 win against Huddersfield. Vardy scored his opener in the 48th minute - although did appear to be offside - before converting a penalty with six minutes to play to help lift the Foxes into seventh place in the Premier League. He took his tally to 15 for the season and could yet make it a second successive 20-goal haul in the league, and Rodgers had plenty of praise for his forward. "He's an incredible player. 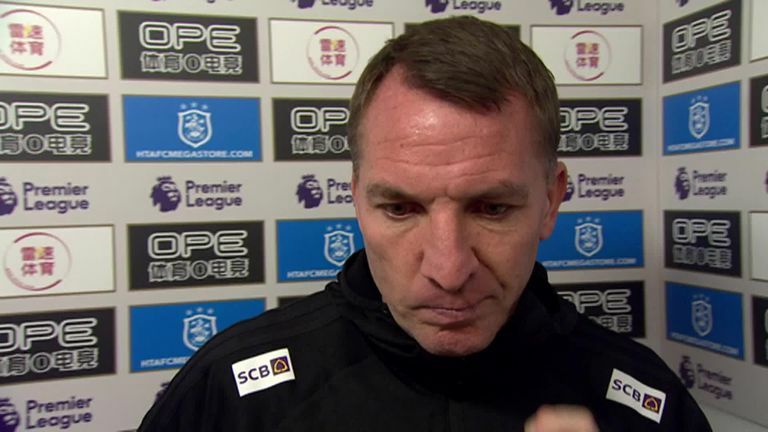 His journey is well documented but it has been interesting working with him because he's tactically very, very good," Rodgers told Sky Sports. Jamie Vardy's two goals against Huddersfield has seen him go into sixth in Leicester's all-time scorers chart, having now scored 104 goals for the club, and going above Gary Lineker (103). "He's such a threat in the game with his pace and how he can link the game up and he wants to score goals. There was a fantastic cross from Ricardo [Pereira] for his first and he puts the penalty away. "But all around, the players worked very, very hard and there are areas where we can be better. I thought at 2-0 up, we could control it better but these are things that will improve with time. "It was a very good attacking performance. When it gets to 2-1, we had to show a reaction and it was very, very good. It was always going to be a difficult game for us today with Huddersfield getting relegated and they wanted to have a reaction, of course. "I thought we played very well. We had to make a late change with Caglar [Soyuncu] coming in and I though he was outstanding. He had one mistake towards the end where he was tired and made a loose pass but apart from that, he was outstanding. "The team worked ever so hard, they were creative and we scored four goals. We could have had one or two more with a better final pass." Leicester have now gone above Wolves and Watford in the table on goal difference, with seventh place potentially earning a spot in the Europa League qualifying rounds next season. Rodgers added: "We just look to the next game. We want to finish as high as we can and European football - whether it is Champions League or Europa League - is very exciting and it is an ambition of mine to have the club there in my time here. "It is not guaranteed even with seventh but for us, we look to the next game and throughout the season, see if we can finish as high as we possibly can."